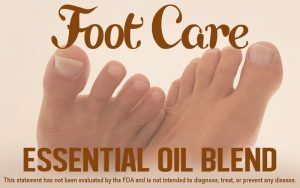 Foot Care Essential Oil Blend provides welcome relief for itchy feet, athlete’s foot, and fungus—or for just simply making your feet look and feel amazing! * Commercial products (sprays, creams, etc…) contain all kinds of chemicals and usually don’t provide the results you need. Fortunately, there’s a solution that makes your feet look, as well as feel, like dancing! Bio Source Naturals’ Foot Care Essential Oil Blend pairs powerful Tea Tree Oil and French Lavender – two of the best anti-fungal oils. Tea Tree oil has a clean, fresh medicinal aroma, while French Lavender lends a fresh, sweet, floral scent to the pairing. Opposites certainly do attract to make our all-natural blend not only aromatic, but effective in helping stop the itchiness and smell that often plague our precious feet! * Studies have shown that combining Tea Tree and Lavender is especially effective against foot fungus. Finally, applying this blend topically is very effective, and recommended. Make your feet jump for joy! Read about athlete’s foot here.